Apps like Offer Up: – Offer Up app is a virtual marketplace for buyers and sellers where sellers upload the descriptions of the product and buyer purchase it. 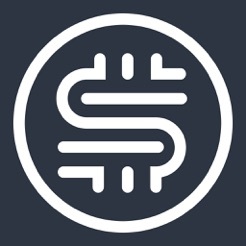 It is a simple yet effective platform of connectivity which covers much wider area than real world market. You have to sign up on this app by providing the appropriate details, and it will enable you to use the services of Offer Up. It is capable of searching the local buyers and sellers of your location. Just chat with them, watch the pictures of the product and buy it as per your requirement. Forget about the local classifieds and register yourself on Offer Up right now. There are also many other apps like Offer Up present on Google app store to buy and sell the products. Virtual trade is getting very popular in these days because of the ease of availability. It is very easy to interact with a buyer or seller through your smartphone instead of meeting with everyone personally. Right now there are huge numbers of apps like Offer Up are present on the internet which can be used for searching our desired product. The buy and sell apps like Offer Up acts as a medium of interaction between both parties. If they become agree with the terms and conditions of each other, then the future deal may proceed. These apps save your lots of time and also provide you a big number of options to choose. Here we are describing other apps like Offer Up which will surely help you in buying and selling the goods. Just take a look and choose the best one which suits to your requirement. Ebay is not just a retailer e-commerce website; they also have a classified section which has made it the apps like Offer Up. Here buyers and sellers can post their required stuff for free of cost. It enables you to choose the cheapest items from your nearest location. The eBay guarantee feature can also be seen in the classified section of this company. It ensures your security from frauds and scams. Another selling app like Offer Up is Carousell. You can directly download it from the app store or websites offering various smartphone apps. After creating the account, you can upload the pictures of your product and make it available for sale or only search products of your interest. The unique feature of Carousell is its classification technique. Various communities and groups can be seen here with similar interest of trade. You can make a group within the locality and precede your trade as a long-term business also. As illustrated from its name, it is considered as apps like Offer Up designed for selling products through social networking platform. Your market reachability will increase along with the ascending order graph of sale. If you want to buy a product, follow the seller and send them the message regarding your interest. Same as other sellers, you can also post your product description on SociaSell and followers will automatically contact you. The idea of this app is similar to the famous social networking platform Facebook. But it is specially designed for trading only. 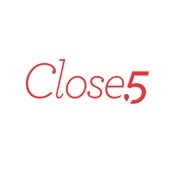 Close5 is one of the apps like Offer Up to buy and sell old stuff. It is basically a location based app which searches your desired product within a given area. This feature if close5 has made it something different than other apps. This app identifies your current location and provides the local search results as the priority. Just enter the place and leave rest of the work on this app. It is a very famous site of classified advertisements which covers lots of products as well as services too. It was firstly introduced as a website like Offer Up only, but the app of Craigslist has also been launched to facilitate the users. It has the capability to browse by different products and services such as you can search for a house for rent or second-hand car for sale through this app. 5 miles is also one of the free apps like Offer Up which can be used to buy and sell the products by location. More than 10 million deals are done through this app till now. It provides facility to search for your desired product within 5 miles of your present location. This is a unique feature because you can easily get all the details of desired product without the risk of getting fooled by outsiders. Olx is a great place to search your product or service because of its extensive network. It is present in more than 100 countries and covers all locations. Hundreds of products with the same category can be found on apps like Offer Up such as mobile phones, cars, real estate and jobs, etc. you can just select a location where you want to buy or sell your product. Due to the vast number of goods availability, it has become a primary place to search for second-hand products. Searching of pets has become very easy with the help of the Oodle app. It also deals with various other services such as vehicles and apartments, but people use it mostly to search the pet animals. It has simplified the procedure of finding right pets on apps like Offer Up. Just search the desired product or service, get the number of sellers and finalize the deal. 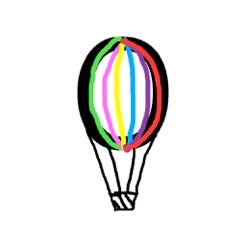 Oodle has the ability to reach all possible nearest locations by your interest. Yard Sale has become virtualized with this app. People post almost every product here which can be purchased through Yard Sales such as old books and machinery. 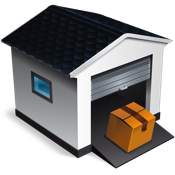 Secondhand products are sold and purchased with the help of yard sale app in local areas, but the reachability of this app is worldwide. However, they try to offer a yard sale experience but the availability of products on these apps like Offer Up are very limited in number. If you are a customer of Amazon products through retailer app, then you can easily rely on Amazon Local app too. This app is specially designed to provide the information about services available in the nearby location. It also offers products from locality, but the main focus of Amazon local is to give the information about restaurants, hotels, spas etc. This is one of the greatest apps like Offer Up for those who want the information of local area services on their mobile. Varage Sale is considered as buy and sell apps like Offer Up made for those who want complete security in purchase and sale their products. To signup in Varage Sale, you have to connect your Facebook account with it. Administration of Farage Sale checks every person registering on this app through their Facebook account which ensures the exact identity of the member. Like OLX and 5miles, this app is also very useful to explore the products from locality as well as worldwide. This classified section app deals in all type of secondhand products such as furniture, clothes, and fashion accessories. These similar apps like Offer Up of Shpock are designed for Android platform to meet the need of daily use products mostly. This app is popular in cities where you can find numerous products with least price range. Rural areas are still untouched with Shpock till now. Wallapop is a big digital marketplace which buys and sells like Offer Up secondhand products. You can directly download it from play store and install in your device. After registration, it automatically detects your location and shows the local area products in which you are interested. Both selling and buying can be done through Wallapop by jus uploading some good pictures of desired product. While talking about the clothes marketplace of the local area on the internet, you can prefer postmark as the best option websites like Offer Up. Various new and gently used clothes are available on this app for sale and purchase. Various fancy brands are accessible on this app with a great discount. Dealing only in clothes has made it a unique app in these criteria. This is something different in the online market of used goods. You can simply sell your items for free through this buy and sell sites like Offer Up and get some other product in the exchange. Just upload the picture of your product and offer the seller to exchange it with their product. It is an excellent example of barter system in the modern era. Just install the app and start swapping your boring products with exciting ones of others. Apps like Offer Up are very useful because you can virtually connect with any stranger whom you never met. Sometimes it becomes difficult to purchase everything new in your house, and sometimes you want an upgraded version of your old product. In both circumstances, these apps are very helpful. They do not charge any subscription amount for their services. Just choose the right seller or buyer and make your deal. You don’t need to search a suitable product by asking someone. Those who are willing to sell can directly offer the product on a bigger platform. You can just choose the product and bargaining according to your budget limit without meeting someone physically. Don’t forget to share these similar apps like Offer Up on social media.